A third of major government projects due to deliver in the next five years are rated as in doubt or unachievable unless action is taken to improve delivery. Greater transparency on project performance is required. There are 149 projects in the Government Major Project Portfolio (the Portfolio), with a combined whole-life cost of £511 billion and an expected spend of £25 billion in 2015-16. These projects require Treasury approval based on their size, risk and impact. The public sector as a whole delivers many more projects outside the Portfolio, for example, through arm’s length bodies and other bodies such as Network Rail. The public sector has had a poor track record in delivering projects successfully. 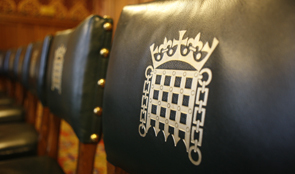 While in the last Parliament, the NAO reported on improvements in the way aspects of programmes in some departments were managed, we also reported regularly on project failures and on ongoing projects that were experiencing considerable difficulties. Key recurring issues included an absence of portfolio management at both departmental and government level; lack of clear, consistent data with which to measure performance; poor early planning; lack of capacity and capability to undertake a growing number of projects; and a lack of clear accountability for leadership of a project. The Infrastructure and Projects Authority (the former Major Projects Authority) and departments have taken many positive steps to develop capability and provide greater assurance on improving project delivery. However, it is difficult to tell whether performance is improving without reliable and consistent measures of project success. Despite some improvements in the level of information published on major projects, there are still a number of issues which make it difficult to form conclusions about trends in performance. These include the amount of project turnover in the Portfolio; the limited data published by departments; inconsistent reporting of costs; and no systematic monitoring of whether the intended benefits have been achieved. Delivery confidence shows a mixed picture with high risks to delivery in the next five years. The number of projects where successful delivery was in doubt or unachievable unless action was taken (rated red and amber-red) has increased since 2012 as more risky projects have entered the Portfolio. Uncertainty should reduce through the project lifecycle but not all project ratings improve over time. Of 56 projects which remained on the Portfolio from 2012 to 2015, 17 had red or amber-red ratings in June 2015 compared with 12 in 2012, although the number of projects considered highly likely to deliver on time and on budget (rated green or amber-green) also increased from 16 in 2012 to 25 in 2015. It is particularly worrying that a third of projects (37 out of 106) due to deliver in the next five years are rated as red or amber-red. Nearly 80 per cent of the Portfolio projects due to be delivered by 2019-20 are to either transform or change the way that services are delivered or accessed. Transformation programmes can present the greatest risk of failure and there is a need to balance ambition and realism in setting goals. For instance, the Better Care Fund was a challenging initiative which Ministers paused and redesigned after the early planning and preparations did not match its scale of ambition. Progress in improving portfolio management is disappointing with no single organisation having a view of the whole portfolio of government projects. The Portfolio provides increased assurance, and other central departments have an increased role in assuring, approving and improving quality of delivery. But an effective mechanism still needs to be developed for prioritising projects across government or judging whether individual departments have the capacity and capability to deliver them. The NAO has often reported on the difficulties caused for government projects by unrealistic expectations and over-optimism.